Minot North Dakota Oil Derrick Falls Attorneys | Larson Law Firm P.C. Oil and gas extraction is considered one of the most hazardous industries in the United States, and oil workers are at the highest risk of becoming injured while on the job. North Dakota is home to the Bakken oil fields, an oil site where the number of injuries and deaths have garnered national attention. Every day, oil and gas crews are exposed to highly toxic and flammable gas while working on oil derricks. These tall structures are placed over oil well holes and have moveable parts that hoist and lower pipes in and out of the wells. There are many potential risks with oil derricks, including falls that may result in serious injuries and fatalities. No injury case is too complex or complicated for Larson Law Firm, P.C. to handle. Our skilled North Dakota oil field injury attorneys have thorough knowledge of industry laws and Occupational Safety and Health Administration (OSHA) safety regulations. We use this knowledge to hold negligent parties accountable for accidents they cause. What causes oil derrick falls? A dangerous oil derrick fall cannot only leave you in extreme physical pain, but you and your family may also face expensive medical bills and lost income because of your inability to work. Rely on our experienced North Dakota oil derrick injury attorneys to aggressively fight the legal battle on your behalf so you can concentrate on your healing and recovery. What are the most common oil derrick slip and fall injuries? You are legally entitled to fair legal representation and don’t have to suffer painful consequences of a slip and fall accident that wasn’t your fault. 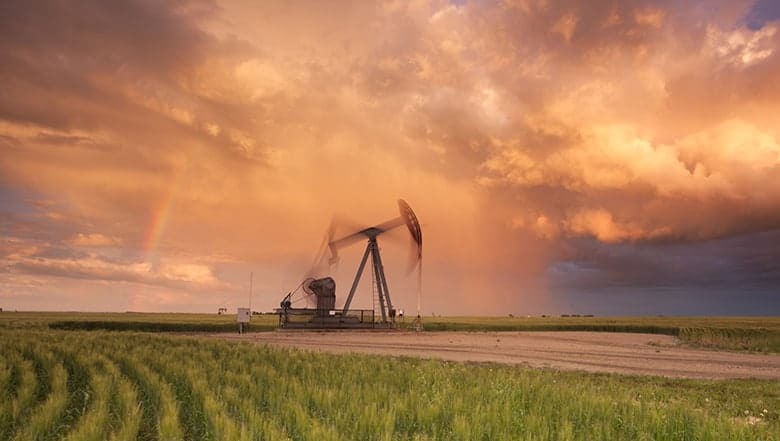 As trusted North Dakota oil field injury attorneys, you can rely on us to thoroughly investigate and research every detail of your injury case. We work tenaciously on your behalf to recover maximum compensation for your losses and injuries. At Larson Law Firm, P.C., our legal team represents your oil derrick injury case with integrity and professionalism. For more than 35 years, we have served our local community and are committed to giving our clients the personalized attention they deserve. From our office in Minot, we are proud to represent clients throughout Ward, Williams, McKenzie, Pierce and Mountrail Counties. To set up a free case consultation, call 701-484-HURT or complete our contact form today.